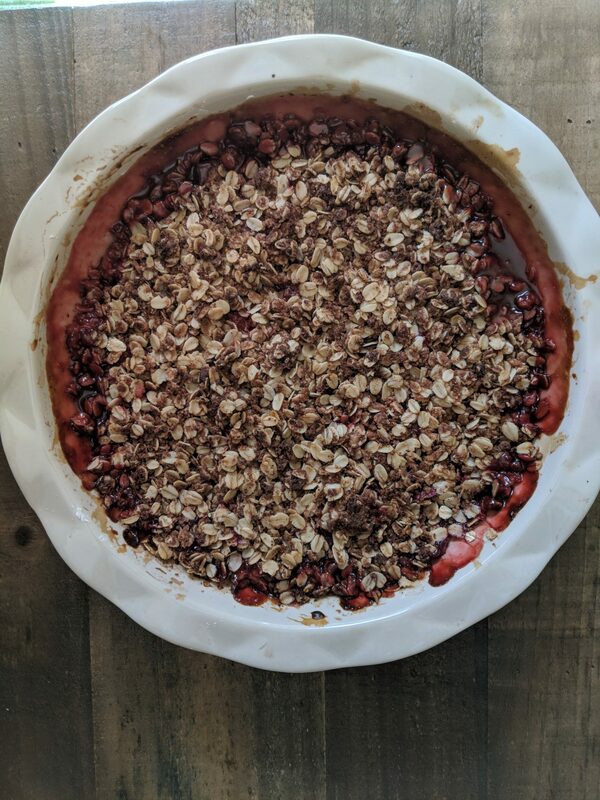 In a 1 1/2-qt baking dish or pie plate, combine strawberries, rhubarb, honey, arrowroot powder, and salt. In a medium bowl, combine oats, flour, butter, sugar, and salt. The mixture should be slightly clumpy. Sprinkle over top of fruit in baking dish.